Vision Zero Canada | Advocating for the elimination of death & injury on Canada’s roads. Vision Zero—a term that’s increasingly being used and misused around the world—was coined by the Swedish government when it pledged to eliminate death and serious injury from its roads. Launched in 1997, Sweden’s Vision Zero program has attracted widespread attention by cutting its traffic death in half, in the space of just two decades. This remarkable achievement can be attributed to the commitment to failsafe systems of road design, vehicle design and speed control. Throughout North America politicians, transport engineers, police and professional advocates are now piously declaring that “no loss of life is acceptable” on our streets and highways. Many would have us think that by saying this, and that by setting zero or interim “moving towards zero” targets, they are “committing” to “Vision Zero.” But in most cases they are not doing anything worthy of the name. The essence of Vision Zero is not a nice sentiment or a target. It is, rather, the action of continuously and preemptively removing the very possibility of violence (and that means serious injury as well as death) from our transportation systems. True Vision Zero systems prioritize the safe passage of our most vulnerable populations, whether they are walking or using any number of light mobility devices from bicycles to wheelchairs. Unfortunately this right is not adequately recognized in our transportation policies and practices. Over the past half century the legislation of technologies like seatbelts, airbags and advanced braking systems has dramatically reduced the rates of death and injury for people inside motor vehicles. Yet there has been little effective investment in systems—including crucial speed control measures—that reduce motor vehicle harm to people walking, cycling, or using light mobility devices such as scooters and wheelchairs. Largely as a result of this relative inattention to vulnerable road users, Canada is in an abysmal 28th place in global road safety rankings, with more than 1800 deaths and some 160,000 injuries on our roads every year. We have twice the number of per capita traffic deaths as countries like Sweden, Denmark and the Netherlands. The comparison becomes more pronounced when one considers that those places have far higher rates of active mobility, including vast numbers of seniors and children getting around under their own steam. The good news is that if we want safe, resilient, healthy communities we can demand that our leaders implement the safe systems approach that has made the bike-friendly Netherlands into the country with the world’s happiest drivers. But before getting to those best practices, let’s consider where we are continuing to go wrong. For the past century North American road safety has been dominated not by a safe systems approach, but rather by a shared responsibility paradigm. Since the early 1920s the “three E’s”—namely Engineering, Education and Enforcement—have been posited as the unassailable “pillars” of road safety thinking. By the middle of the last century, city streets across North America had come to be viewed as the domain of motor vehicles. Road design was geared towards the maximization of vehicle throughput, or Level of Service, as it was called in engineering jargon. So in the only domain where the bureaucrats did claim direct responsibility—engineering—safety was not the primary concern. 1927 poster instructing children to obey the crossing guard and the American Automobile Association. The other two legs of the traditional road safety stool—education and enforcement—are nominally focused on safety, and the onus is placed on the individual road user. By the 1920s many governments began adopting an adversarial approach to road users. Nobody was harangued more than pedestrians, who were taught defensive, deferential behaviours that not only maximized the flow of motor vehicled but also shifted liability for road violence away from the builders of roadways and vehicles. It was during these first decades of motordom that auto clubs, oil companies and municipal authorities worked hard to turn jaywalking from a casual slur into a punishable offense. While the admonishing of scofflaws was effective in establishing motor vehicle dominance, it did not turn back the rising tide of traffic violence. A 1955 CBC feature on the ‘success’ of Elmer the Safety Elephant—a mascot who urged kids to be responsible for their own safety in traffic—actually celebrated a recent 14% rise in child injuries on Toronto’s roads as a win, because the number of cars had gone up by 45% in the same years. Research over many decades has proven that educational campaigns—whether watch for cars or slow down for kids, wear a helmet or don’t text and drive—rarely result in the desired behavioural change. And they certainly won’t protect us from the rising scourge of reckless drivers. The countries with the lowest levels of road violence have adopted a radically different paradigm of traffic safety, in which the state assumes full responsibility and the focus is on implementing failsafe roads and vehicles. The Swedes (below) and Germans call this approach Vision Zero, and the Dutch call it Sustainable Safety. 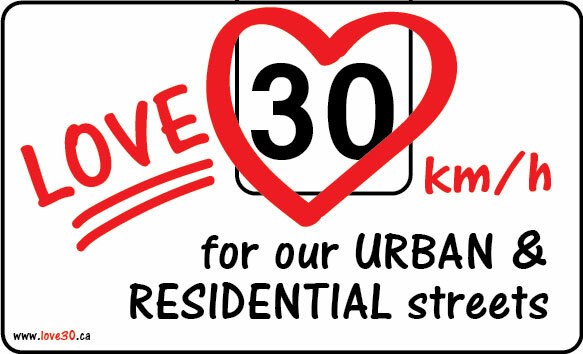 In each case it is an evidence-based approach focusing on infrastructure, vehicle regulation and speed limits designed to protect all road users. While there is a strong ‘engineering’ component in the safe systems approach, it’s better to speak in in terms of design and regulation. That language reminds us that the aim is to build environments and mobility systems for human beings—with all the differences and limitations that this entails. The ‘safe systems’ approach has existed for generations, at least in theory. Failsafe road safety is implicit in these statements from a remarkably clear-headed and prescient 1946 op-ed by George Orwell. Orwell’s statements appear in a critique of defensive walking and driving campaigns, which he viewed as inherently ineffectual. His prescient embrace of failsafe strategies was not fully articulated into a system of ethical imperatives until many decades later. The following table from Neil Arason’s excellent introduction to safe systems nicely sums up the difference between the old and new mindsets. Believes in the need for further “study” — waits for crashes and coroner reports to identify problems Recognizes that the evidence to act already exists. Proactively takes actions using data, crash testing, simulations, physics, etc. For a fully-evolved safe systems approach, see this video from the home page of the Swedish initiative. Vision Zero tenets are also beautifully summarized in the World Report on Road Traffic Injury Prevention (Geneva: World Health Organization, 2004). Since it would be hard to improve on this description, here is a lengthy quotation taken from pp. 19-20 of the report in the following PDF. Vision Zero is a traffic safety policy, developed in Sweden in the late 1990s and based on four elements: ethics, responsibility, a philosophy of safety, and creating mechanisms for change. The Swedish parliament voted in October 1997 to adopt this policy and since then several other countries have followed suit. Human life and health are paramount. According to Vision Zero, life and health should not be allowed in the long run to be traded off against the benefits of the road transport system, such as mobility. Mobility and accessibility are therefore functions of the inherent safety of the system, not vice versa as it is generally today. Until recently, responsibility for crashes and injuries was placed principally on the individual road user. In Vision Zero, responsibility is shared between the providers of the system and the road users. The system designers and enforcers—such as those providing the road infrastructure, the car-making industry and the police—are responsible for the functioning of the system. At the same time, the road user is responsible for following basic rules, such as obeying speed limits and not driving while under the influence of alcohol. If the road users fail to follow such rules, the responsibility falls on the system designers to redesign the system, including rules and regulations. there is a critical limit beyond which survival and recovery from an injury are not possible. It is clear that a system that combines human beings with fast-moving, heavy machines will be very unstable. It is sufficient for a driver of a vehicle to lose control for just a fraction of a second for a human tragedy to occur. The road transport system should therefore be able to take account of human failings and absorb errors in such a way as to avoid deaths and serious injuries. Crashes and even minor injuries, on the other hand, need to be accepted. The important point is that the chain of events that leads to a death or disability must be broken, and in a way that is sustainable, so that over the longer time period loss of health is eliminated. The limiting factor of this system is the human tolerance to mechanical force. The chain of events leading to a death or serious injury can be broken at any point. However, the inherent safety of the system—and that of the road user—is determined by people not being exposed to forces that go beyond human tolerance. The components of the road transport system—including road infrastructure, vehicles and systems of restraint—must therefore be designed in such a way that they are linked to each other. The amount of energy in the system must be kept below critical limits by ensuring that speed is restricted. To change the system involves following the first three elements of the policy. While society as a whole benefits from a safe road transport system in economic terms, Vision Zero relates to the citizen as an individual and his or her right to survive in a complex system. It is therefore the demand from the citizen for survival and health that is the main driving force. In Vision Zero, the providers and enforcers of the road transport system are responsible to citizens and must guarantee their safety in the long term. In so doing, they are necessarily required to cooperate with each other, for simply looking after their own individual components will not produce a safe system. At the same time, the road user has an obligation to comply with the basic rules of road safety. The quoted section goes on to indicate the main measures in place at time of writing (2004), and it describes the “sustainable safety” approach employed in the Netherlands. The entire 217-page report (PDF), beautifully indexed, remains an excellent primer on road safety worldwide. For more material on safe systems go to our Policies & Practice page, which includes an excellent safe systems video and tips from Canada’s leading road safety expert. For more on the intersection of principles and practices see the European Charter of Pedestrians’ Rights (1988), and the Five Pillars of the UN Global Plan for the Decade of Action for Road Safety (2011). 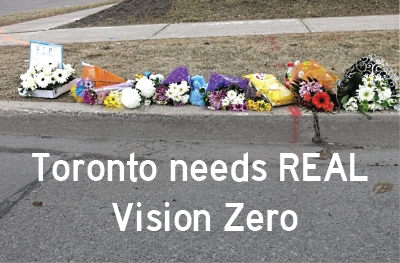 New #VisionZero #Canada main page, with heavily revised content. EXCELLENT summary of the #VisionZeroDifference—basically a switch to state responsibility for a #publichealth crisis—by the great Claes Tingvall. 🇸🇪 took this to heart in 1997, and cut #roadviolence rates in half. Can we finally get serious 🇨🇦?